Gray-green leaves of the hardiest known agave. Full sun, slow growing to 24" wide. 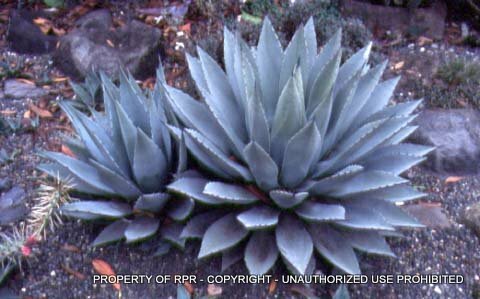 One of the most hardy Agaves known and can go to -15° if dry. Does well in wet winters. Leaves: Grows to 24" wide grey-green leaves.